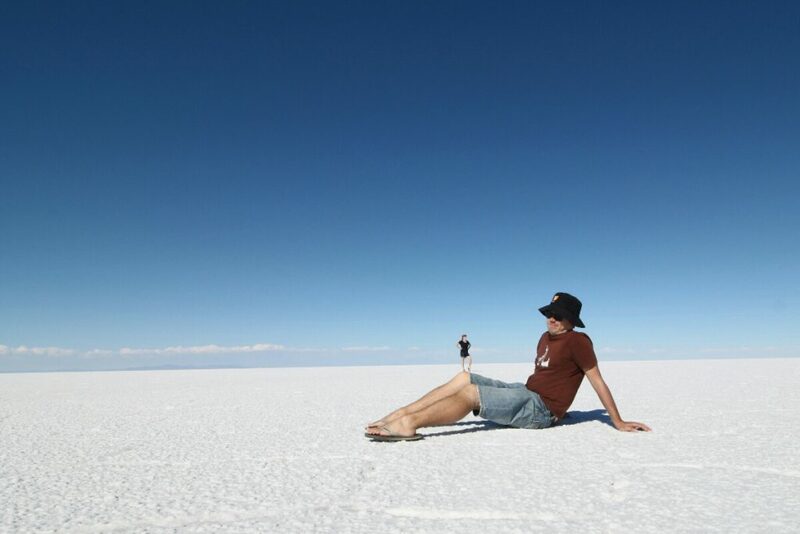 A trip to the deep south of Bolivia and to some of the most extreme landscapes I’ve ever seen. 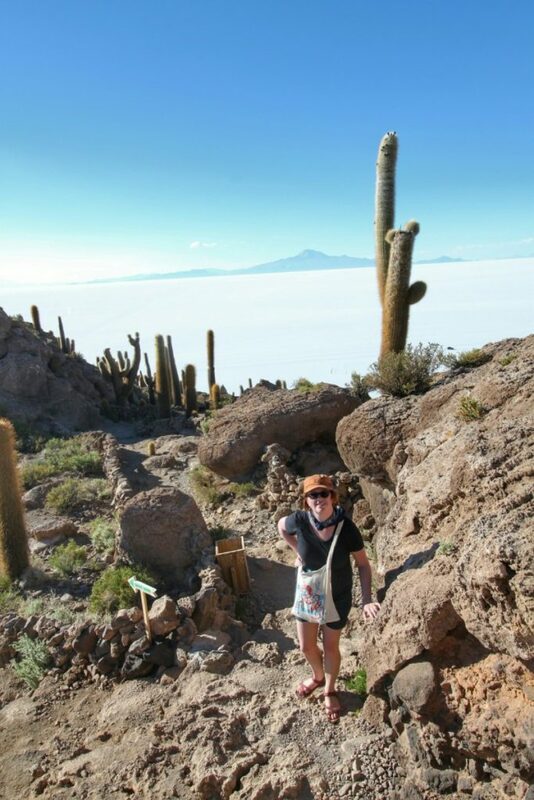 We went on a three day tour from Uyuni with Red Planet Expeditions. If you’re really pressed for time there are also one day tours, but I wouldn’t recommend it. There’s just too much out there, and the distances are huge. And you do kindof have to go with a tour. We saw a group on motorbikes, and passed a few crazy people on bicycles, but other than that the area is too remote to make your own way. Unless of course, you own a 4WD. 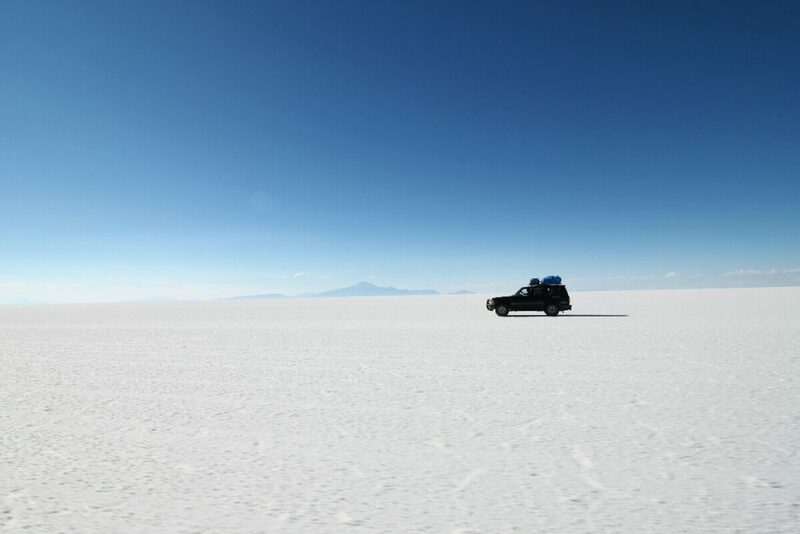 Our convoy of two landcruisers set off from Uyuni around 9am. The first stop just out of town was the train graveyard. 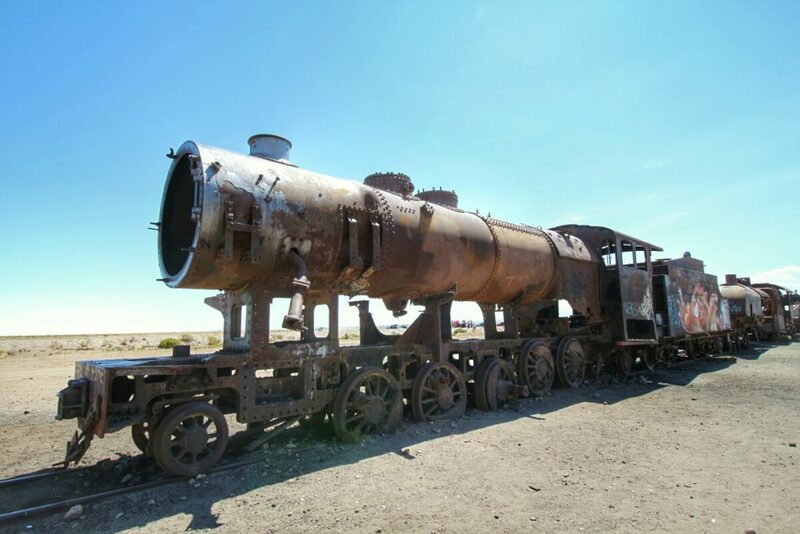 Interesting if you like old steam trains, but more importantly it highlights the former importance of the region. 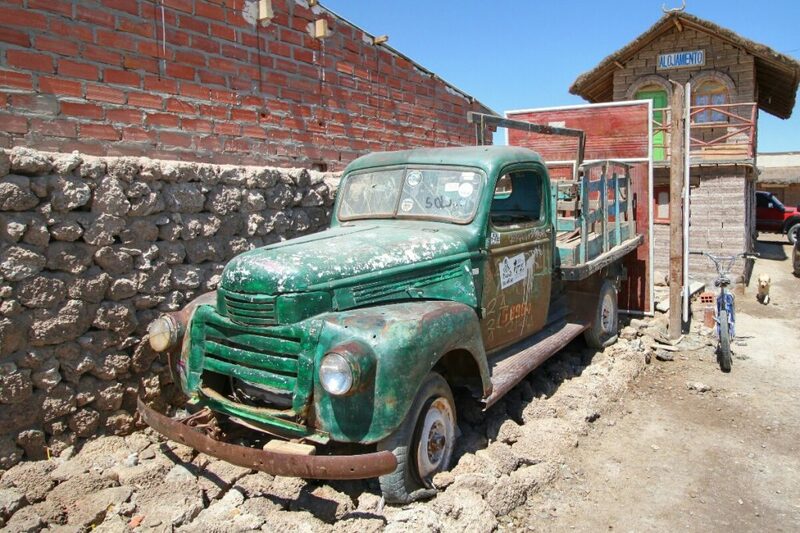 The trains transported the riches of the Potosí mines out of the country. 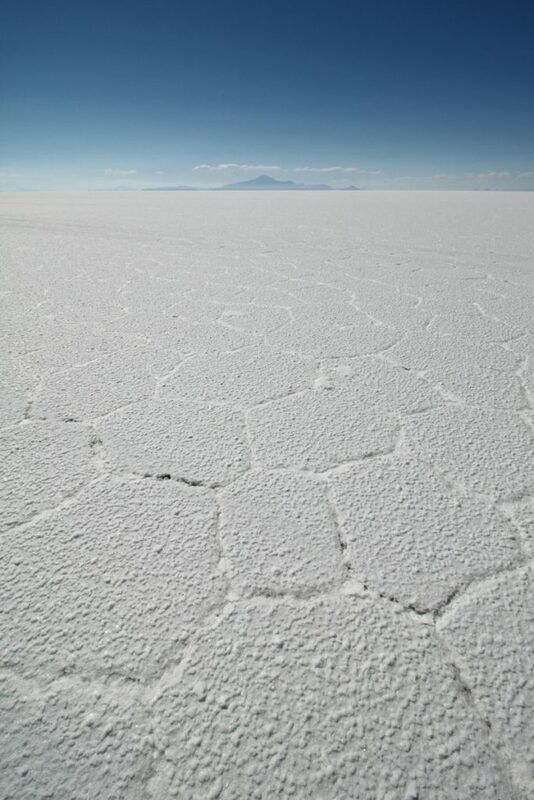 Without the mineral wealth the trainline we rode on wouldn’t even exist, leaving Uyuni and the villages further south even more isolated. We visited a small village where the locals refine salt from the lake for consumption throughout Bolivia. 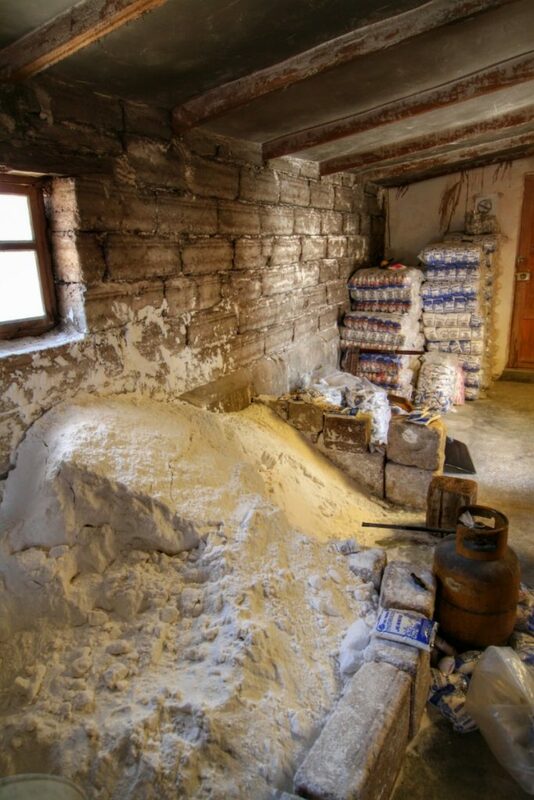 Surprisingly, none of it is exported (Bolivians will blame the lack of access to the sea). Next was the lake itself. 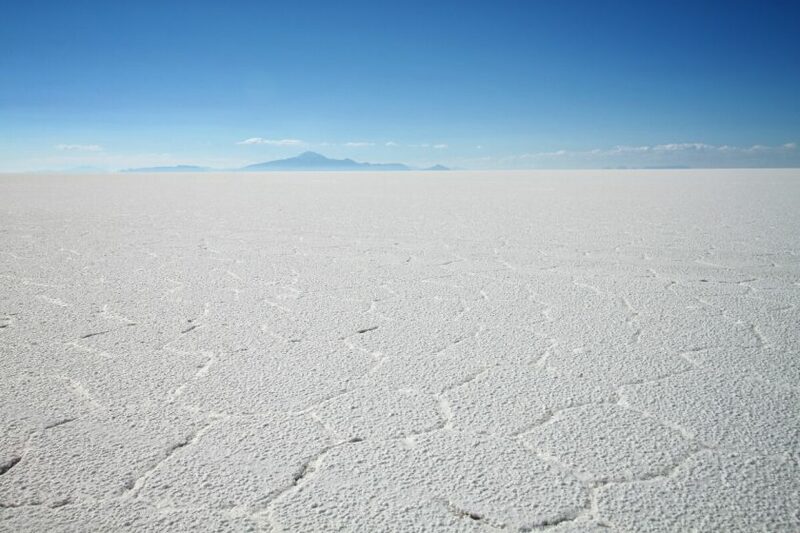 The Salar de Uyuni is the largest salt plain in the world. We drove 60km or so just to get to the middle. It’s a really weird place; nothing but flat white salt all the way to the horizon. And to jump on the environmental high horse for a minute, this place is also at risk. 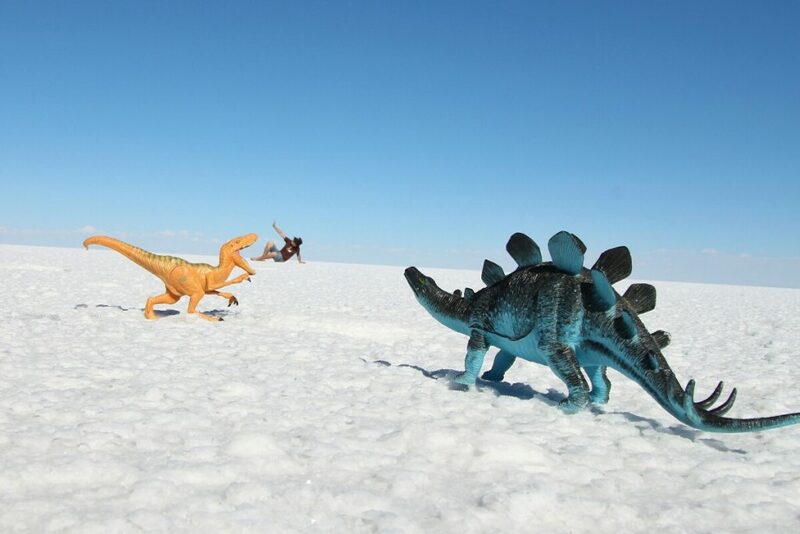 See, under the salt flat is one of the world’s largest lithium reserves. As we head towards electric vehicle and solar plus storage for home electricity, that lithium is going to be very valuable. So we’ll see what disasters we can produce in our efforts to curb that other big disaster, climate change. 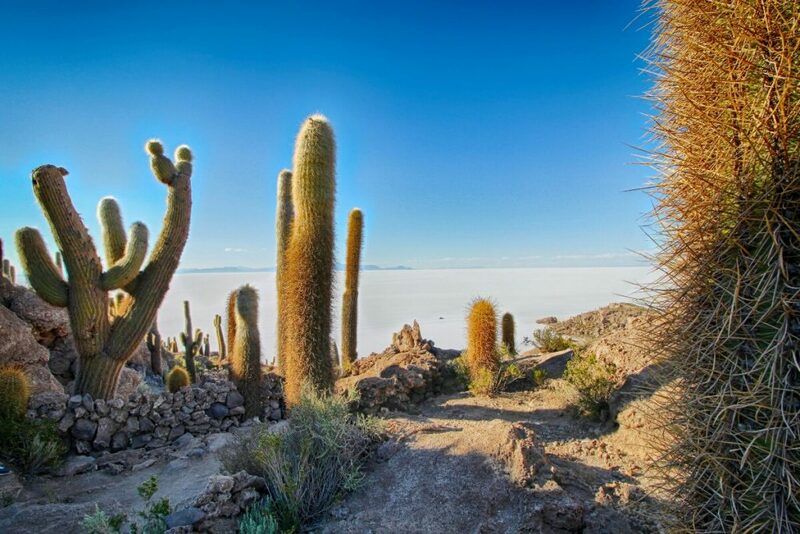 After messing with trick perspective photography for a while the group drove onwards to Isla Incahuasi, a rocky island in the Salar, and vegetated almost entirely with enourmous cactus. Surprisingly, most of the island is renmants of coral reef, from when the entire area was underwater. We climbed to the top for more views. 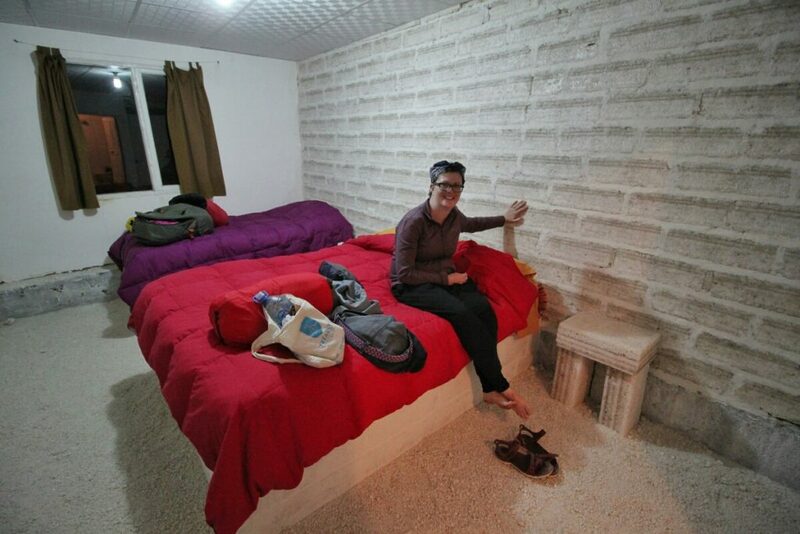 After sunset we arrived at our accommodation for the night, a hotel built entirely from salt blocks. 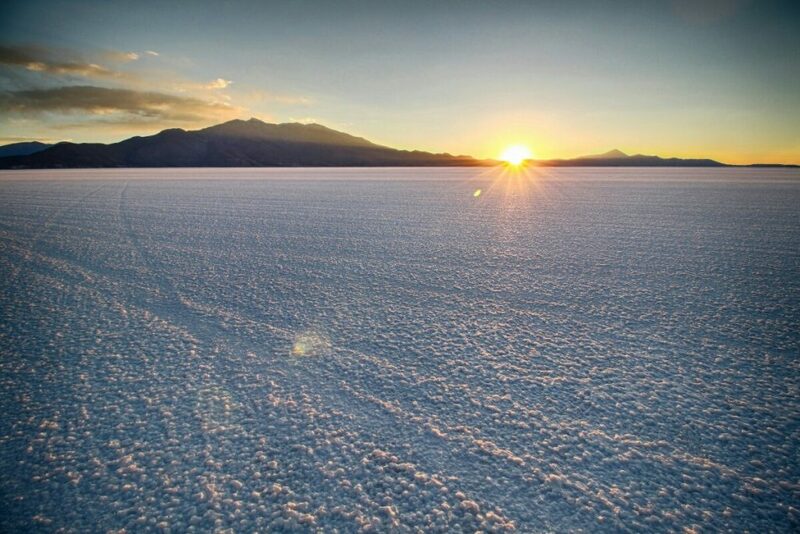 Tomorrow we would leave the Salar and head into the alien volcanic region of South Bolivia.